The Earth has lost more than half its animals since 1970. 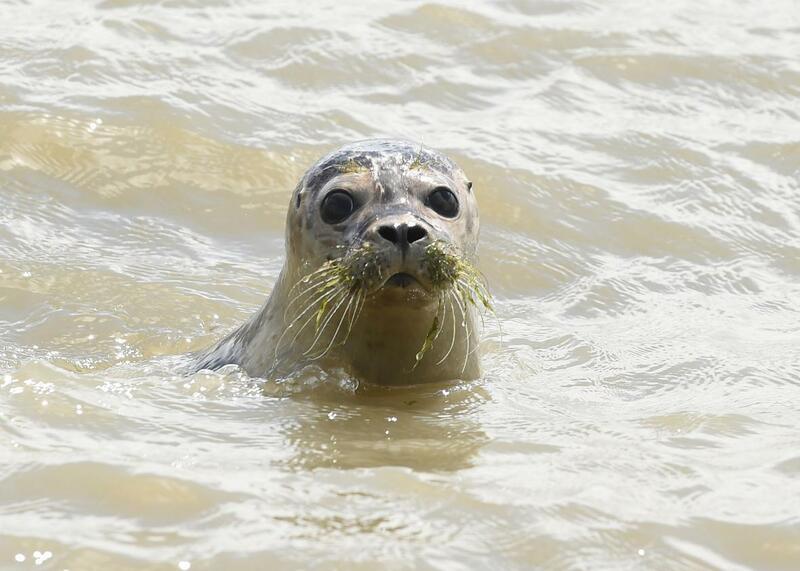 A young seal swims in the sea near Juist Island, north of Germany, on July 28, 2015. The global wildlife population declined by nearly 60 percent over the past four decades according to an alarming new report from the World Wildlife Foundation and the Zoological Society of London. This rate of decline is set to continue so that by 2020, nearly two thirds of all living creatures on the planet will have died when compared with 1970 population levels. That estimate comes from the Living Planet Index, a measurement of 3,706 vertebrate species including mammals, birds, fish, and reptiles used to calculate the change in abundance over time. The LPI shows a 58 percent decline between 1970 and 2012, and the report estimates losses will hit 67 percent by the end of the decade. This is the same year, 2020, that U.N. targets for halting the loss of biodiversity are due to be achieved. It’s important to note that this estimation measures total populations of living creatures, not of the number of species that have gone extinct. While this is a frightening loss of life, much of it is theoretically recoverable. If the wildlife populations have adequate habit and sustenance, they could reproduce and recover. But the report also explains why this kind of recovery is, at least right now, somewhat unlikely. The report is centered around the increasingly popular idea that we’ve entered the Anthropocene, a new geological epoch defined by human activity. The main drivers of the Anthropocene’s mass die-off of plant and animal individuals and species are habitat loss due to logging, agriculture, or development; species overexploitation such as overfishing; pollution; invasive species; and the effects of climate change. For populations to recover, these drivers would, at the very least, need to be lessened. This is bad for people as well as plants and animals. The report notes that a growing human population is currently consuming resources far faster than the Earth can replenish them, stating “By 2012, the biocapacity equivalent of 1.6 Earths was needed to provide the natural resources and services humanity consumed in that year.” In other words, we are currently consuming resources at a rate that cannot last indefinitely. The report offers an optimistic approach to solutions. It points to a few success stories, such as the return of large mammals to Europe, and notes that the 15 percent of the Earth’s surface that is protected areas has likely slowed the fall of the index and contributed to the recovery of some species. But overall the picture it paints is pretty grim. And the fact that countries are clearly falling well short of stated commitments to halt the loss of biodiversity puts some recent encouraging political victories on combating climate change in perspective.